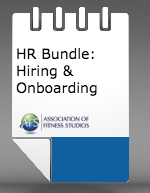 This HR Bundle comes complete with everything necessary to properly hiring and on board new employees. Included in this bundle are the following documents. Use this template to assist in checking your applicant’s references when you are filling a position. Reference checks verify the claims made by applicants in their interview and help you make more informed hiring decisions. Use this template to help attract the right employees for the job and to ensure that the job is right for the employee. This document organizes the 10 necessary requirements in an easy to read manner. Make sure no question gets left unanswered, or documented. Use this template to outline 1.) base compensation, 2.) overtime, 3.) duties, 4.) employee handbook receipt, 5.) benefits offered and more. Create a positive work environment that keeps the lines of communication open and fosters growth through the 4-step G.R.O.W. process (set Goals, check Reality, discover Options, and decide When to implement next steps). This template helps ensure your team is firing on all cylinders.